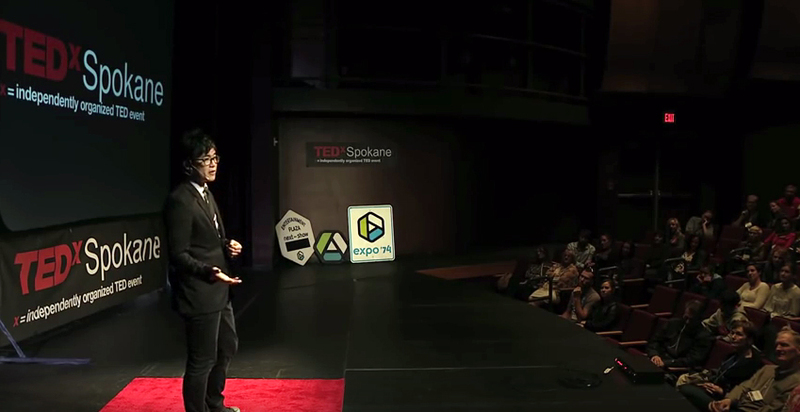 Simon Tam is an author, musician, activist, and troublemaker. 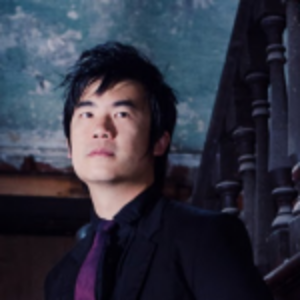 Tam is best known as the founder and bassist of The Slants, the world’s first and only all-Asian American dance rock band. He is the founder of The Slants Foundation, an organization dedicated to providing scholarships and mentorship to artist-activists of color. Tam has been a keynote speaker, performer, and presenter at TEDx, SXSW, Comic-Con, The Department of Defense, Stanford University, and over 1,200 events across four continents. He has set a world record by appearing on the TEDx stage 13 times. His work has been highlighted in over 3,000 media features across 150 countries including The Daily Show with Trevor Noah, NPR, BBC, New York Times, and Rolling Stone. He was named a champion of diverse issues by the White House and worked with President Barack Obama’s campaign to fight bullying. He recently helped expand freedom of speech through winning a unanimous victory at the Supreme Court of the United States for a landmark case, Matal v. Tam. He has received many accolades for his work, including: The Mark T. Banner award from the American Bar Association, the Hugh M Hefner First Amendment Award, Milestone Case of the Year from Managing IP Magazine, and Distinguished Alum Award from Marylhurst University. In addition, he was named Citizen of the Year by the Chinese American Citizens Alliance, a Freedom Fighter by the Roosevelt Freedom Fighters, and a Portland Rising Star from the Light a Fire Awards. I’m a self-proclaimed artist, activist, author, and troublemaker who likes to shake things up with unconventional conversations fueled by compassion. I’m known for starting the world’s first and only all-Asian American dance rock band, winning a landmark case at the U.S Supreme Court, having the world record for most number of TEDx talks, being a serial entrepreneur, and relentlessly fighting for marginalized communities. I believe all of our actions should be grounded in our values and that apathy is not compatible with love. Goal of the Day: Find a way to advance justice, compassion, and gratitude in the world in a way that wasn’t present when the day started. Thought of the Day: Your uniqueness is your greatest strength, not how well you emulate others. Deed of the Day: Tell someone that they matter, that they are loved. And then prove it with your actions. Tip of the Day: Don’t listen to others simply to respond or to argue; do so in order to cultivate compassion. Currently, I live in Nashville, TN. It’s a city on the brink of opportunity. There’s unprecedented growth and expansion which means our community can address issues like development, displacement, and gentrification with greater intention than other cities who’ve allowed rampant inequity to prevail. The city has a lot of heart. I often skip breakfast but I do love getting the occasional dim sum for brunch…just not in Nashville. It’s terrible here. 6:00 AM – My morning routine. Each day, I wake up and recite 3 things I’m grateful for (and they can’t be things I’ve named before), take the dog for a walk, do some light exercise, and have several large cups of tea before starting the rest of my day. 10:00 AM – Meetings, emails, and phone calls. Most of my day is filled with these – unless I’m in the middle of a book or music tour, then I’m most likely driving or on a plane. When I’m home, I meal prep with the same lunch everyday: a heap of stir fried vegetables and a side of black beans cooked with onions, garlic, cilantro, and hot sauce. It’s usually topped with two eggs over-easy. On the road, I’ll usually just have a salad. 7:00 PM – Most of my evenings are spent at events so I’ll likely be giving a talk, doing a book reading, or performing music. If I’m not traveling, I usually use the evenings to write, compose music, or work on booking my next slate of events. I usually drink at least 10 glasses of water per day. I often begin and end the day with 2-3 cups of tea as well – it’s very important for me to stay hydrated as a speaker/performer. My most used app without a doubt is Gmail. 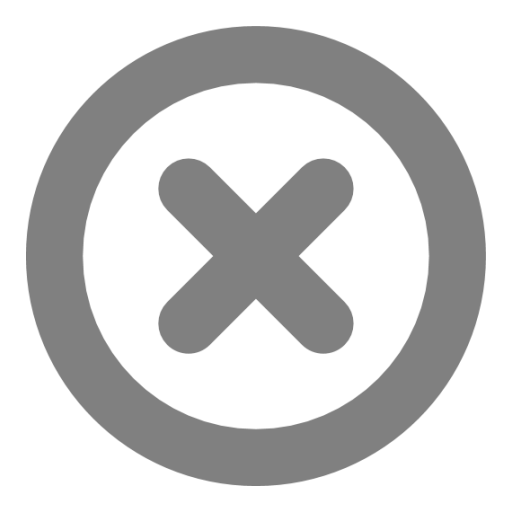 Although I do a lot of social media marketing, I’ve pretty much stopped using it for anything other than professional activities. Reading the comments section of a controversial news article or video and really thinking about why people would say the things that they do, what values they’re trying express that might mirror our own (even if they’re doing it poorly), and challenge ourselves to cultivate genuine compassion even for those we disagree with the most. In thought. I spend a lot of time in a pensive state. Sometimes it leads me to new ideas for books or music, sometimes it brings up random memories. Either way, it beats television! I first stepped into the worlds of involved with arts and activism when I made the decision to start The Slants, an Asian American band that would provide a bold portrayal of our community’s culture. Little did I know that this would resonate with so many others. That got me involved with numerous organizations which taught me about public policy development, social justice, and grassroots community activism. That eventually put me on the path to the Supreme Court, to fight for civil rights and civil liberties. Running a band is also like running a startup: you have to find your target audience, raise capital, build a brand, find distribution, and so on, so it was also a great lesson in entrepreneurship as well. I leveraged that experience to start multiple other businesses, both in and out of the entertainment industry. This helped me learn ideas like strategic philanthropy, purpose-driven companies, and addressing problems with unconventional solutions. If you ever want to learn how to be a jack-of-all trades, just go on tour with a punk band: you’ll learn survival techniques real quick. Don’t rely on gatekeepers for success. A mentor of mine once told me that there are three kinds of people in this world: those who make things happen, those who wait for things to happen, and those who wonder what just happened. Be someone who makes things happen. Remember, an excuse is the tribute that mediocrity pays to those who achieve. If you want things done, learn how to do it. Invest in yourself. The entertainment industry, publishing world, and business sector is finally starting to embrace diversity and inclusion because they see potentials for profit – much like how those groups started looking at sustainability a few decades ago. But we have to realize that in order to fully enjoy the benefits of doing so, it has to be more than just a trend. It has to create systemic and institutional changes, beginning with leadership. 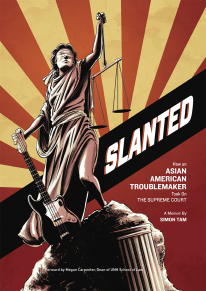 I just published my memoir, Slanted: How an Asian American Troublemaker Took on the Supreme Court. It’s my hope that it will inspire others to find new perspectives and do some troublemaking of their own. By practicing what I preach. You can’t lead others to places you haven’t been or with a vision that you don’t have. Always begin with your values and lead with integrity. I hope to never be complacent in the face of injustice. I would be honored to be able to continue doing the work that I do. My most challenging moment was losing several of my closest friends while fighting a landmark case at the U.S Supreme Court. My absolute favorite person and inspiration is my significant other, Faina Lorah, who is an extremely talented artist in her own right.